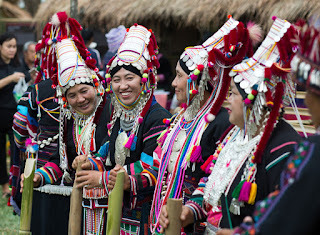 The Akha are an indigenous hill tribe who live in small villages at higher elevations in the mountains of Thailand, Burma, Laos, and Yunnan Province in China. They made their way from China into Southeast Asia during the early 20th century. Civil war in Burma and Laos resulted in an increased flow of Akha immigrants and there are now some 80,000 living in Thailand's northern provinces of Chiang Rai and Chiang Mai where they constitute one of the largest of the hill tribes. The Akha speak Akha, a language in the Loloish branch of the Tibeto-Burman family. 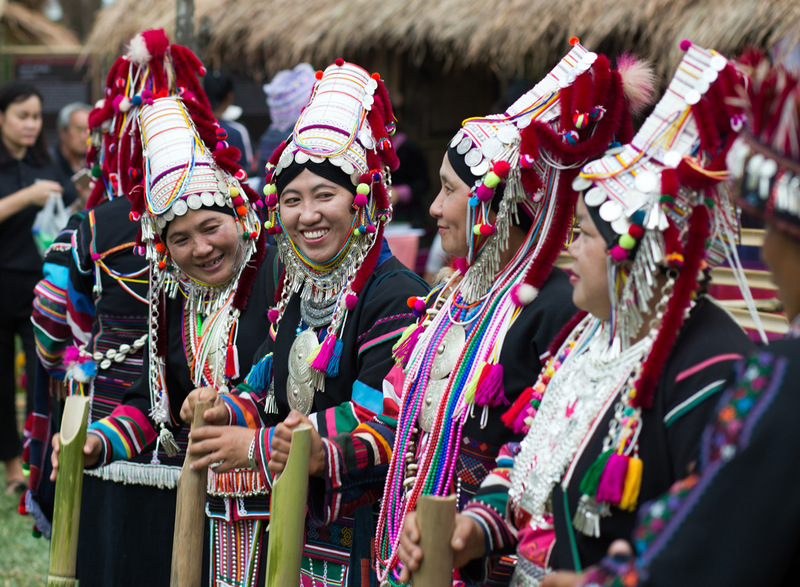 The Akha language is closely related to Lisu and it is thought that the Akha once belonged to the Lolo hunter tribes people who once ruled the Baoshan and Tengchong plains in Yunnan before the invasion of the Ming Dynasty in 1644.